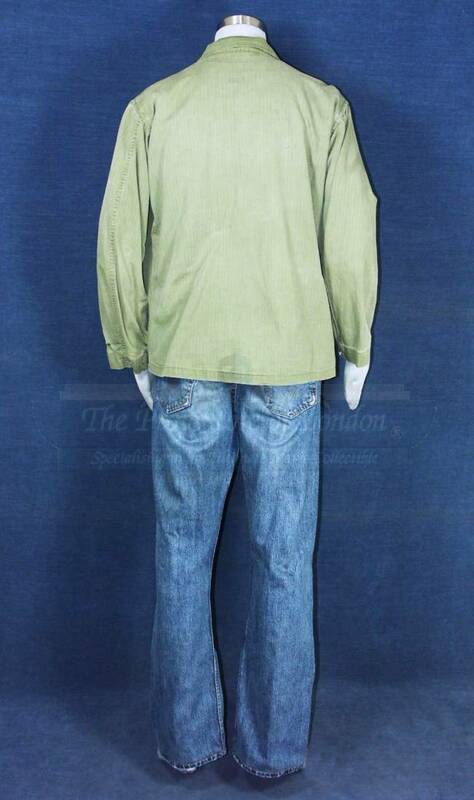 A civilian costume worn by the character Goat (Ben Daniels) in the exciting action movie Doom. 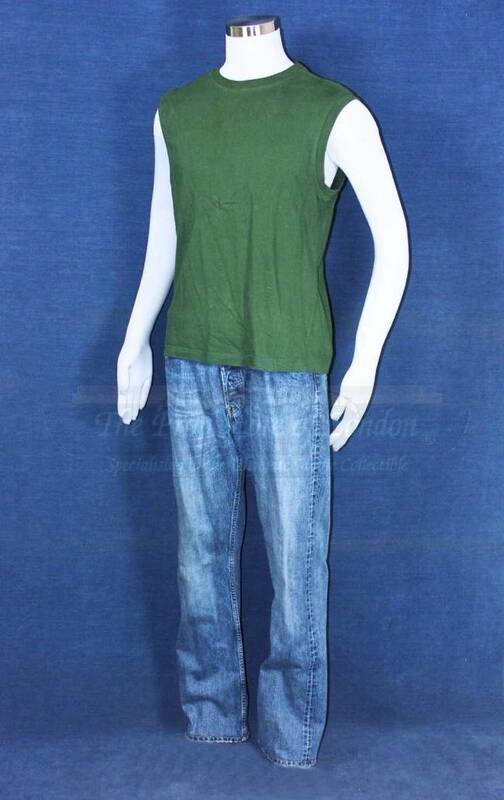 The costume consists of a pair of blue Levi jeans (size W34 L36), a green canvas belt, a dark green sleeveless t-shirt (size XXL) and a green shirt. 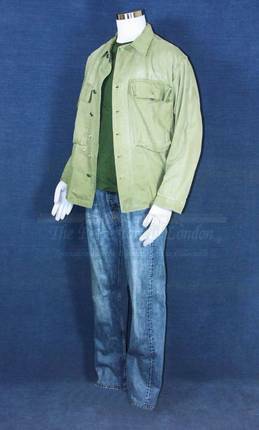 All are labelled with the character’s name.